Traditional singing and calligraphy performances were held to celebrate Vietnam Cultural Heritage Day in Hanoi on November 23. At the event, cheo (traditional opera), xam (songs of blind musicians), vi giam (Nghe An-Ha Tinh region's folk singing) and don ca tai tu (southern folk singing) were performed by Vietnamese artists. Meanwhile, 28 Vietnamese calligraphers wrote on a 10-metre long piece of paper to express their thoughts when listening to live chau van (ritual singing). A ritual of traditional Mother Goddess worship was also staged. 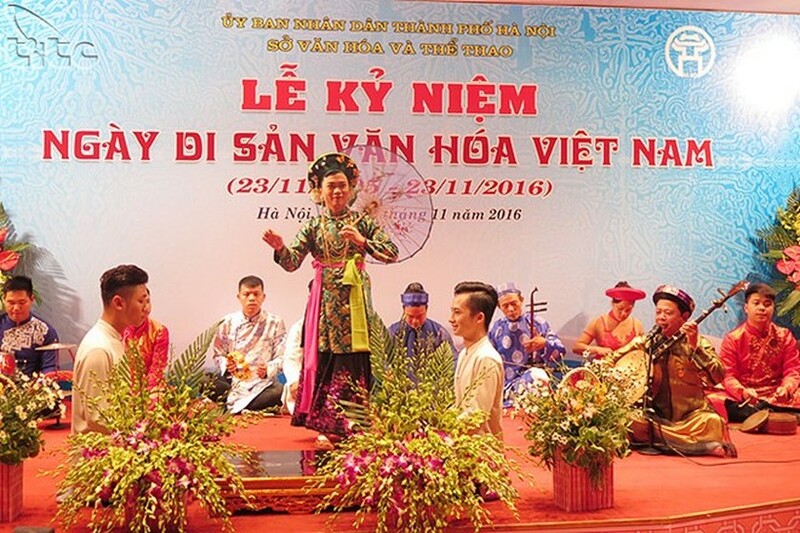 The celebration marked the debut of the centre for intangible heritage promotion, which helps boost cultural cooperation among Vietnamese localities and between Vietnam and international friends. The first decree of the Vietnamese State on cultural preservation was signed by late President Ho Chi Minh on November 23, 1945. 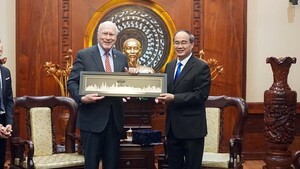 The date was designated as Vietnam Cultural Heritage Day. Vietnam has so far earned UNESCO recognition for 17 world cultural heritages, ranking first in Southeast Asia./.